You may not be the best cook in the world, but you know you can do better! 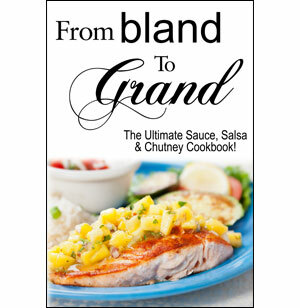 All you need to up your dinner game is From Bland To Grand. In it, you'll find dozens of recipes for rich sauces, fresh salsas and bold chutneys-many of which call for garden produce and all guaranteed to liven up your plate.